? 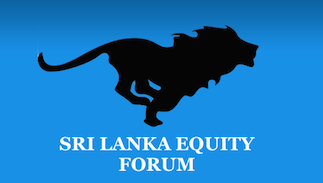 If The Market Crashes In The US ..
Sri Lanka Equity Forum » Stock Market Talk » ? If The Market Crashes In The US ..
Having some 20 Trillion USD debts in the US, some predicts an imminent market crash like in 2008 in the US that leaves the Global Economy nothing but chaos. Though the Colombo Stock Exchange ( CSE ) is considered as a frontier market, stay away from the PLCs that affiliated not only with the US companies also Japanese and Chinese companies as China and Japan are the biggest contributors when it comes to financing the US debts .. Go for all Sri Lankan PLCs that have greater impact on domestic markets .. Happy trading .. Folks ..
@Chanuque wrote: Having some 20 Trillion USD debts in the US, some predicts an imminent market crash like in 2008 in the US that leaves the Global Economy nothing but chaos. With US interest rates rising and most of the European and Asian markets not doing so well there had been an influx of foreign funds in to US markets in the recent past (especially after Donald Trump assumed power) propelling an unsustainable upward movement in their stock prices.